Bookmarks Are People Too! #1, Niagara Falls, or Does It? One of the versatile actors of Hollywood, Henry Winkler is involved in several professions like writing, directing and producing. Despite his reading disorder, Winkler wrote almost 19 books. His breakthrough came in 1974 in the series, Happy Days. His performance in the series helped him to win several awards. Active in the industry for 4 decades, he has earned millions of net worth and receives several honors and awards as well. 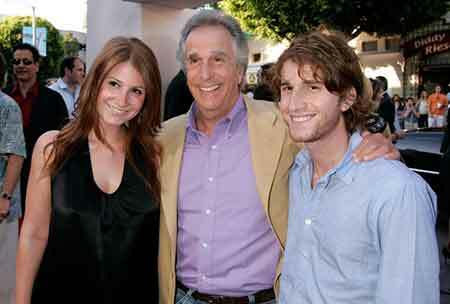 Regarding his personal life, Winkler is married to Stacey Winkler with whom he shares two children. 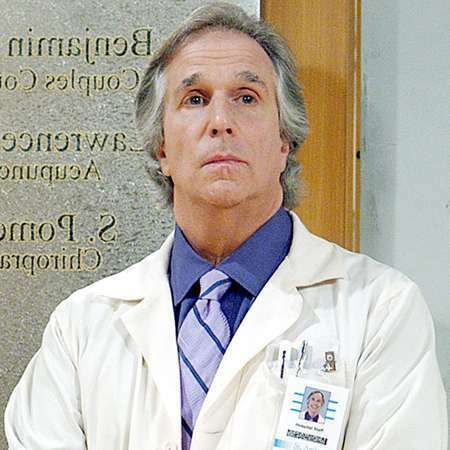 Henry Winkler was born Henry Franklin Winkler on October 30, 1945, in Manhattan, New York City, New York, US. Winkler is American by nationality and belongs to Caucasian ethnicity. Winkler is the son of mother Ilse Anna Marie Winkler (1993-2002) and father Harry Irving Winkler (1903-1995). His parents moved from Berlin, Germany to the United States in 1939 on the eve of Second World War. His mother was a homemaker and his father was a lumber company president. Henry's parents raised him with his sister named Beatrice Winkler in the traditions of Conservative, Judaism. Winkler attended McBurney School and he graduated from the school in 1963. In 1963 he earned B.A. degree from Emerson College. During his college, he became the member of the Alpha Pi Theta Fraternity. 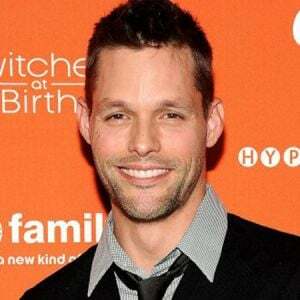 Later, he joined Yale School of Drama and earned M.F.A. degree. Henry has also received honorary D.H.L. degree from Austin College in 1978. After graduation, he moved to New York to perform on Broadways. Later, moved to LA to pursue a career in acting. Henry Winkler made his Hollywood debut in 1972 in an episode of NBC's soap opera, Another World. The following year, he was featured in The Mary Tyler Moore Show as Steve Waldman. Winkler's breakthrough came in 1974 in ABC's sitcom, Happy Days. In the series, he portrayed the role of a secondary character who later became the main character after he surpassed the other characters, Arthur ''Fonzie'' Fonzarelli. The series starred Ron Howard, Erin Moran, Marion Ross, and Anson Williams. He was associated with the sitcom from 1974 to 1984 appearing in 255 episodes. His performance was highly appreciated by fans and critics. Moreover, he has been also nominated for several awards for his performance. 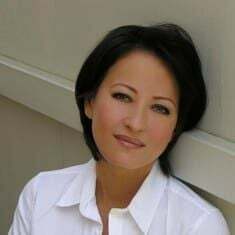 Later Henry featured in several TV movies and TV shows, Nightmare (1974), Paul Sand in Friends and Lovers (1974), Laverne & Shirley (1976), The One and Only (1978), Joanie Loves Chachi (1982), The Simpsons (1989), Absolute Strangers (1991), Monty (1994), and The Drew Carey Show (1995) among others. As of 2018, he worked in HBO's dark comedy TV series, Barry with Bill Hader, Sarah Goldberg, and Anthony Carrigan. Winkler made his movie debut in 1974 as Mannie in Carlo Lizzani's directed film, Crazy Joe. The same year, he worked in The Lords of Flatbush with Sylvester Stallone, Perry King, and Susan Blakely. Henry Winkler has also appeared in several super hit movies Dill Scallion (1999), Fronterz (2004), Unbeatable Harold (2006), You Don't Mess with the Zohan (2008), Adventures of Serial Buddies (2011), Larry Gaye: Renegade Male Flight Attendant (2015) and many more. Winkler made his directional debut in 1988 from the movie, Memories of Me. He also appeared as a producer for TV series like MacGyver and Dead Man's Gun. Besides, he also worked in several theater works and pantomimes. CAA agent, Alan Beger suggested him to write children's book about dyslexia in 1998. Due to his learning disability, he refused the proposal. In 2003, he was again suggested but this time, he accepted and co-wrote his first book, Niagara Falls, Or Does It? with Lin Oliver and Tim Heitz. Since then he wrote almost 19 books like Bookmarks Are People Too!, I Got a ''D'' in Salami, Day of the Iguana and The Zippity Zinger among others. 1977 = Golden Globe Awards for Happy Days. 1978 = Golden Globe Awards for Happy Days. 1995 = Daytime Emmy Awards for CBS Schoolbreak Special. 2005 = Daytime Emmy Awards for Clifford's Puppy Days. Some of his nominated awards include Primetime Emmy Awards and Golden Globe Awards among others. Besides, in 2011, he has been appointed as an Honorary Officer of the Order of the British Empire. Two years later, he was also named as one of the United Kingdom's top 10 Literacy Heros by the National Literacy Trust. Henry Winkler has an estimated net worth of $35 million as per The Richest whereas his net worth is estimated to be $20 million by Celebrity Net Worth. He worked in numerous TV series and movies from where he receives a decent paycheck. Scream (1996) $14-15 million $173 million 7.2 Roger L. Jackson, Kevin Patrick, and Lisa Beach. The Waterboy (1998) $23 million $186 million 6.1 Adam Sandler, Fairuza Balk, and Kathy Bates. Click (2006) $82.5million $237.7 million 6.4 Adam Sandler, Kate Beckinsale, and Cameron Monaghan. You Don't Mess with the Zohan (2008) $90 million $199.9 million 5.5 Adam Sandler, Emmanuelle Chriqui, and Rob Schneider. Winkler also collected a huge amount from his published books. Besides, he along with his wife bought a mansion in 1993 worth $3.4 million. In 2017, he again bought a 'Royal Pains' house for $3.5 million. Henry is also the proud owner of Lexus RX 400 which worth around $15 K.
Winkler donated several books to Holy Rosary School in 2011. Tropical Strom Lee, a storm, flooded the school. He also supports several charity organizations like the American Heart Association, The Children's Trust, Believe Dream, Stands Up To Cancer, Parkinson Society Maritime Region, and National Literacy Trust among others. Henry Winkler is a multi-dynamic personality and he has shown his skill in several fields. Winkler is a married man. He tied the knot to his girlfriend turned wife Stacey Weitzman. Winkler had an affair with his current spouse Stacey Winkler in 1976. After dating for almost two years, the couple finally married on May 5, 1978, in a private ceremony attended by families and friends. The pair share two children, a daughter, and a son. His daughter, Zoe Emily, who was born in 1980, is a pre-school teacher whereas his son Max Daniel is a director born on 18th August 1983. He also has a stepson, Jed Weitzman from his wife's previous marriage with Howard Weitzman. He is the godfather of Bryce Dallas Howard, daughter of Ron Howard. The couple is together for decades Henry currently lives in New York City with his family. Besides, Winkler has numerous fans following on Twitter and Facebook. Even at the age of 70, he has kept him healthy and good looking with perfect exercise. Winkler's age: he is aged 73 years. 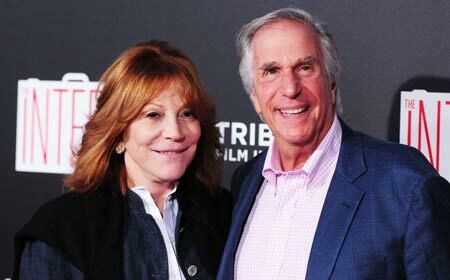 Henry Winkler & Stacey Weitzman are together and married for 38 years now! Know about their children! !